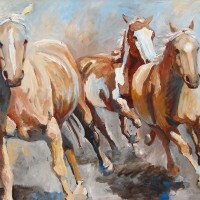 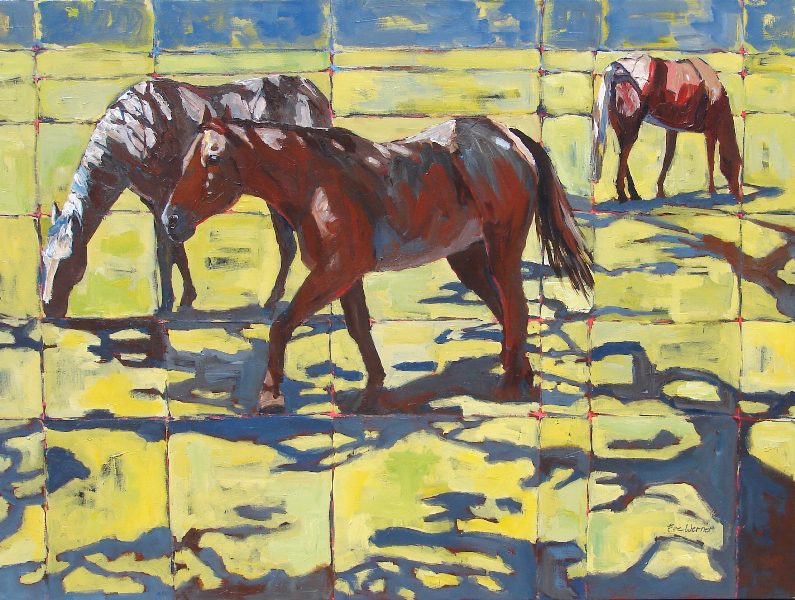 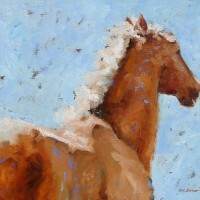 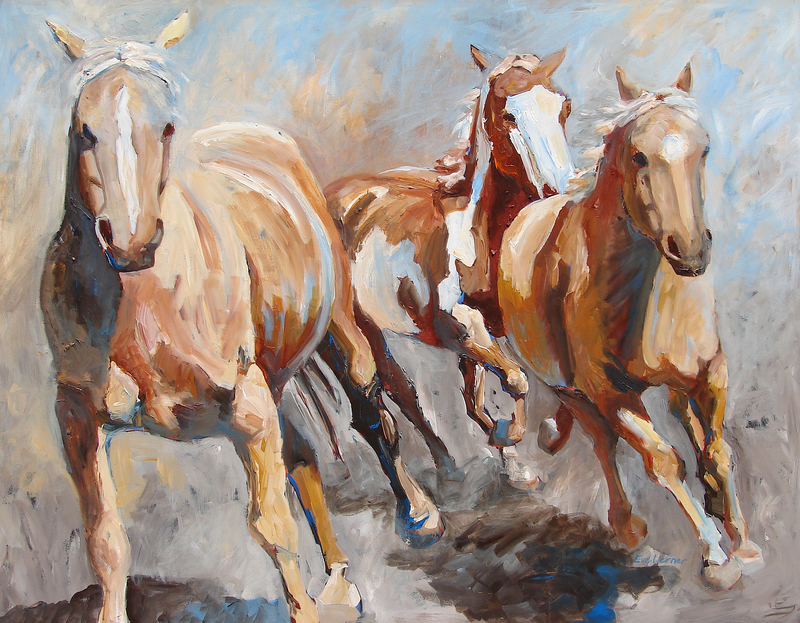 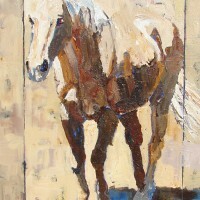 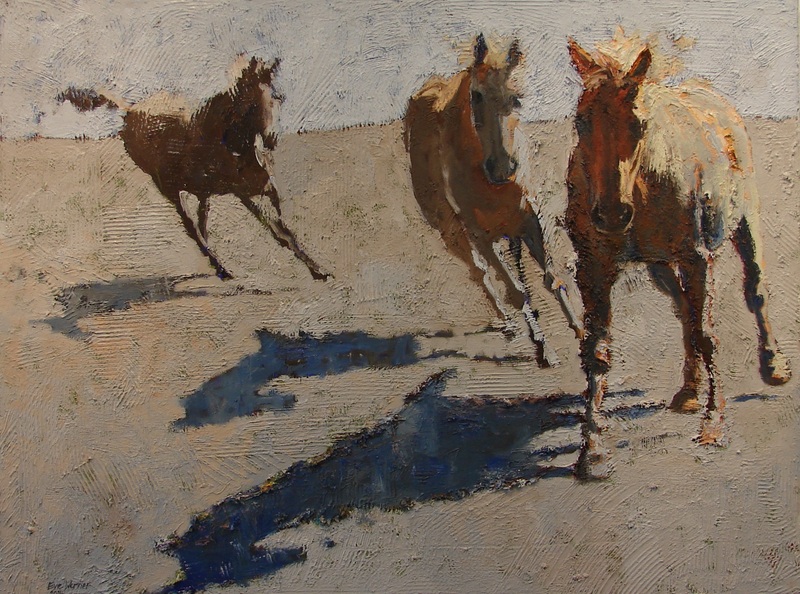 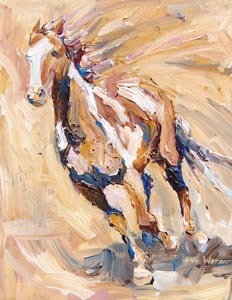 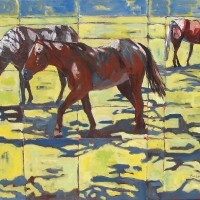 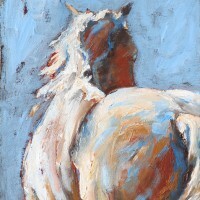 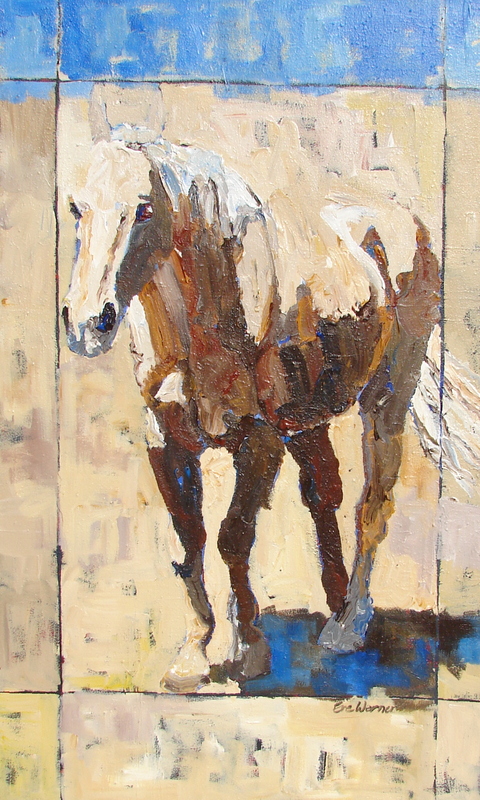 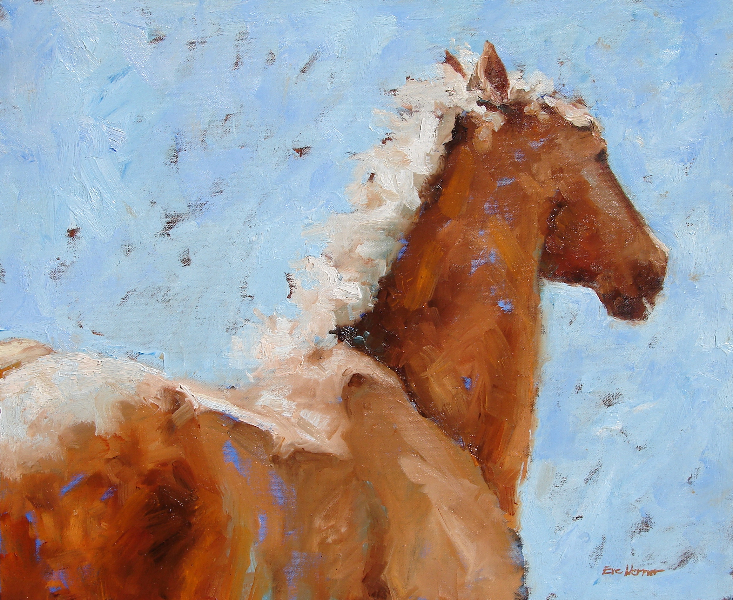 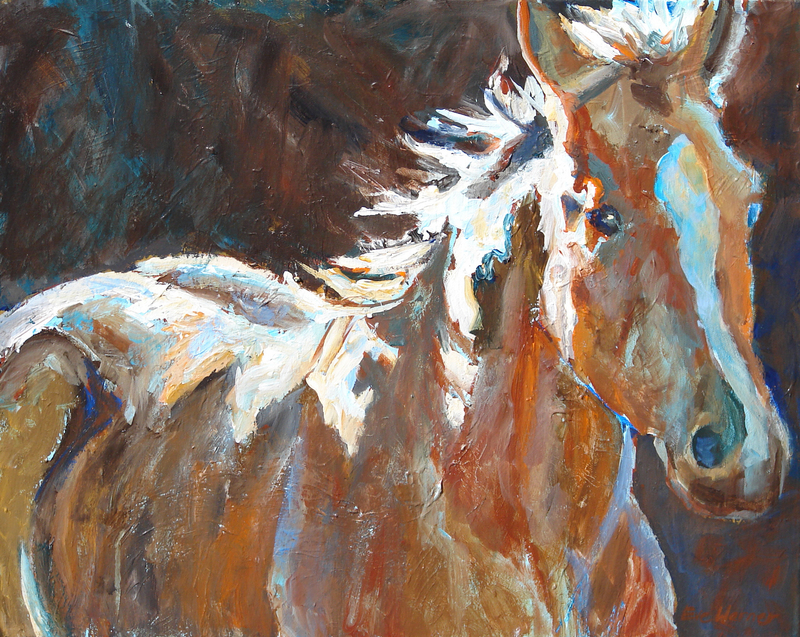 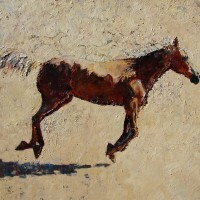 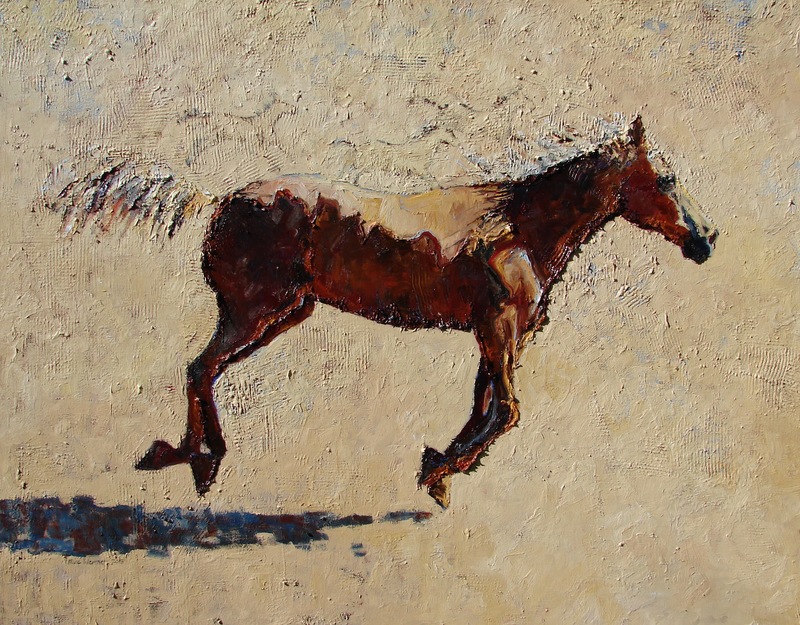 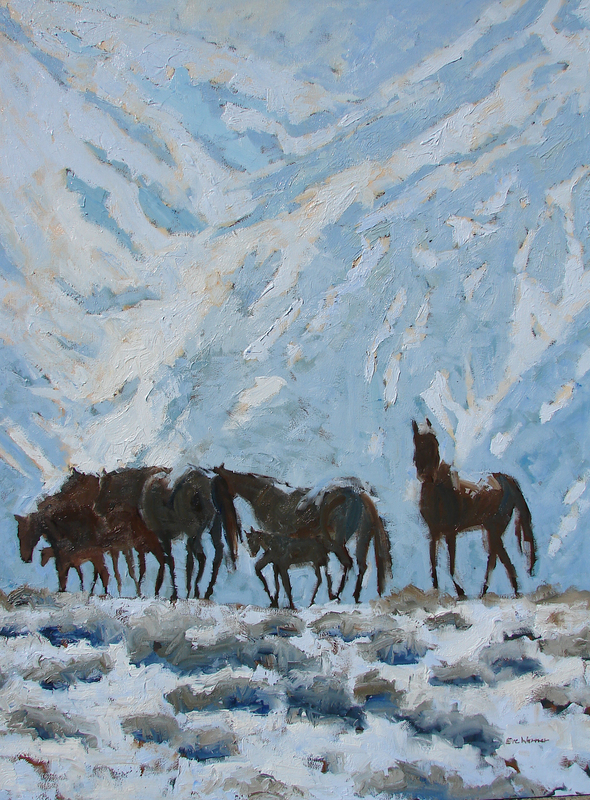 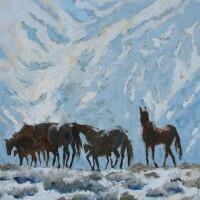 The Equine series is an exploration of an animal that has fascinated me since childhood. 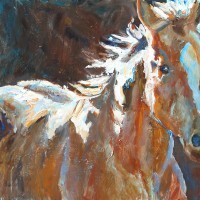 I consider horses to be the most beautiful of species. 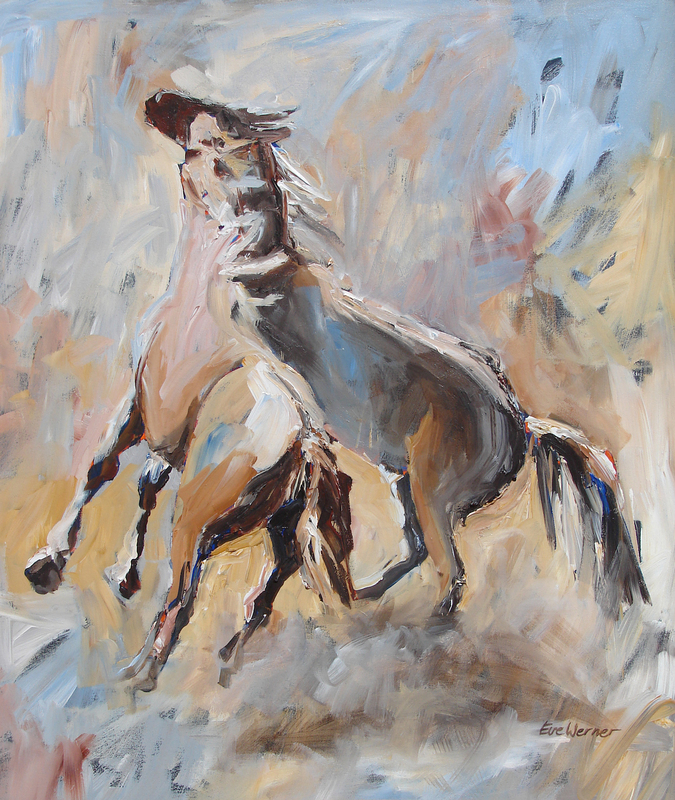 Their sensual movement and natural elegance, the way light plays against their curves, and their recurring appearance in myths world wide make them irresistible to me. 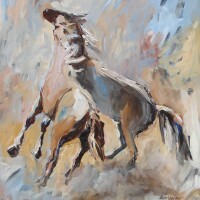 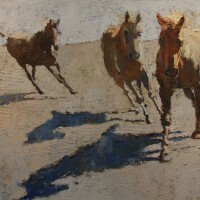 Wild horses, in particular, capture my imagination. 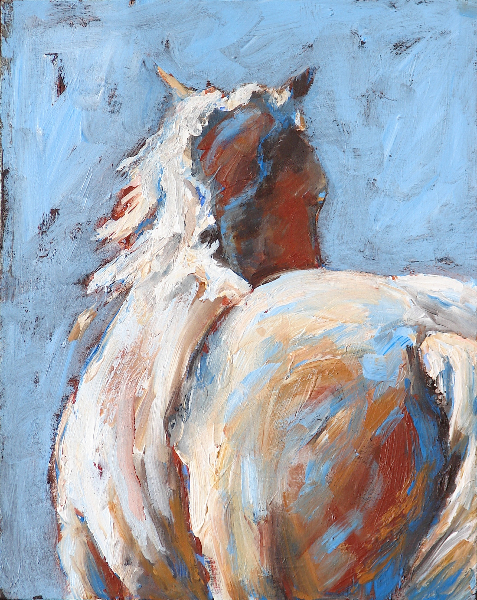 For this series, I extract images from photographs that I take then play with composition, color, and values to heighten the emotional impact while welcoming subconscious input on femininity, sensuality, wildness, and freedom.